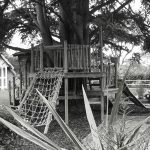 As part of the garden redesign process our client was interested in including a lower level tree house and play structure for their small children. 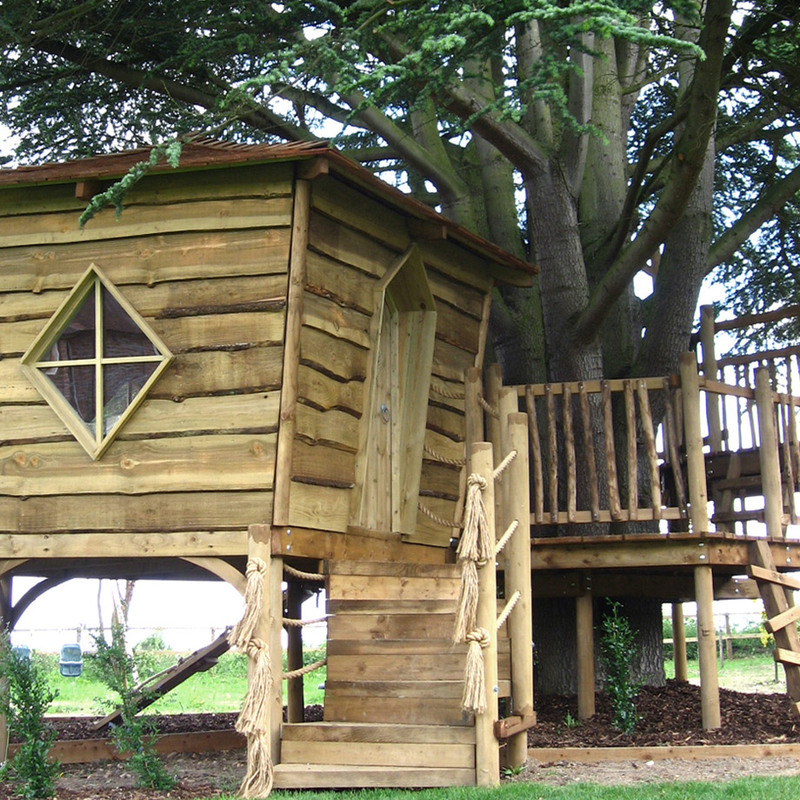 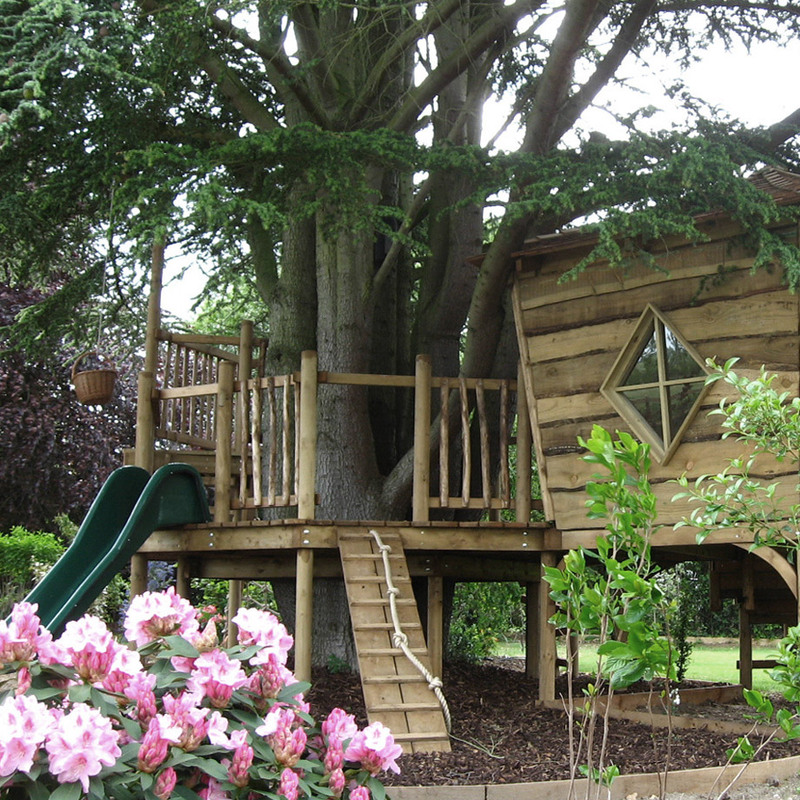 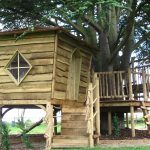 We were asked to create a treehouse play structure set around a magnificent Yew tree. 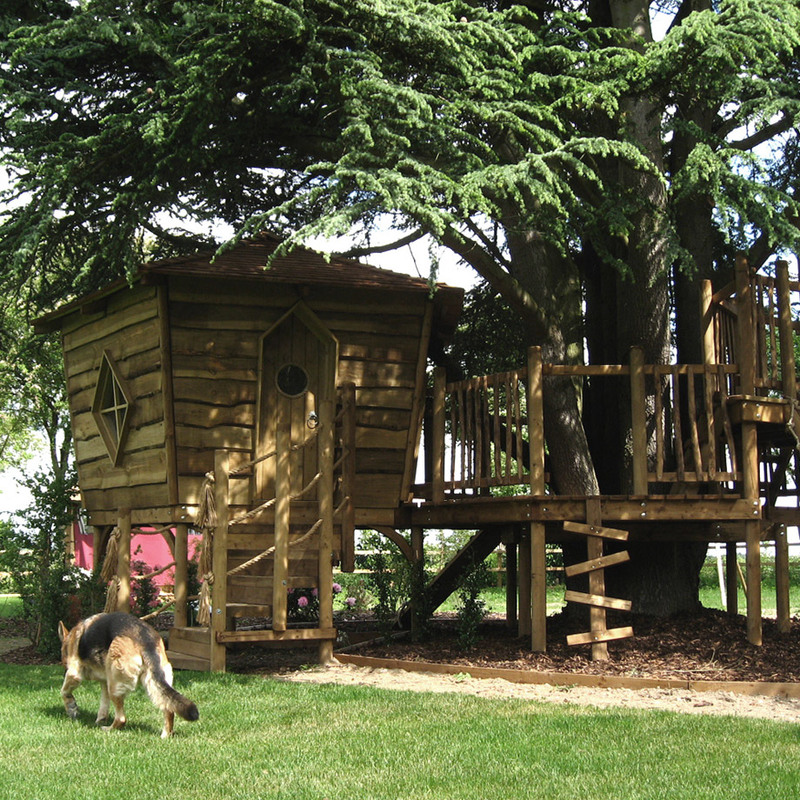 It was essential that it was an attractive structure as this formed a central feature in the garden. 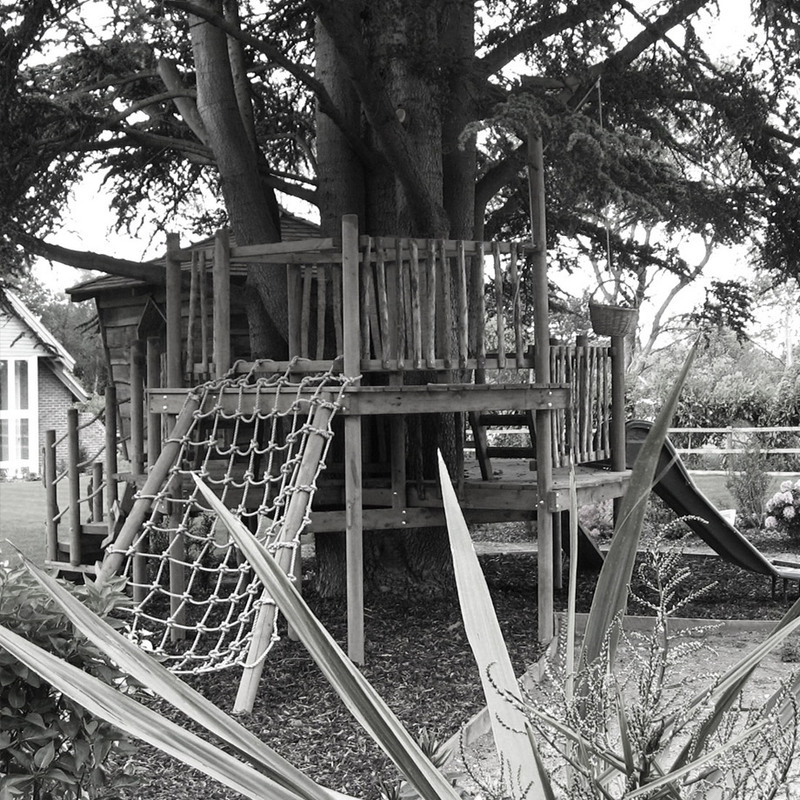 As the girls were really quite small still, and we had to accommodate the central collection of tree stems, we created a tree house design that allowed safe access and play and interfered as little as possible with the majestic yew tree itself. 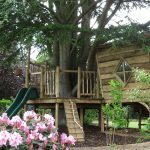 The structure is self-supporting and was built with very careful consideration to the tree roots so as not to create any long term damage. 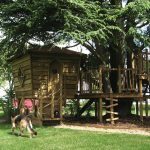 The treehouse design includes a main hideaway house with access from the ground and then on to the tree platform, with a slide, climbing ropenet, wibbly ladder and a chicken run ramp creating plenty of movement and fun.